In the 3x3 international No. 14 competition five ILP students were chosen as student show winners. Ryan Cho ('18) received Bronze for the piece Instagram Selfies, "a collection of selfies and hashtags from various portraits on Instagram." Ryan received merit for his three dimensional work Cuddy Skateshop, "a fictional skateshop made out of cardboard and paper mache. It once had a skatepark in the back, which closed down due to budget cuts." Ryan also received honorable mention for his work Herman, an experimental zine about an old interview with the band Mazzy Star. 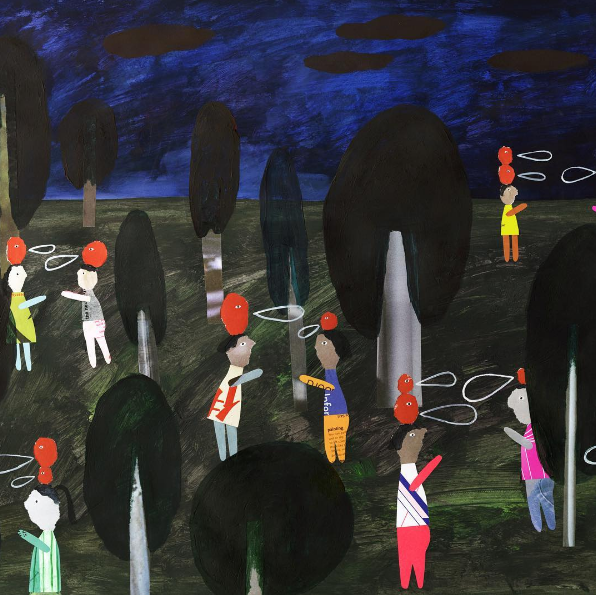 Luyi Wang ('17) won merit for five of her paintings from her thesis children's book Reigning Heads. Jasjyot Singh Hans ('17) honorable mention merit for his work Dazzle Camouflage. "The piece was inspired by the optical phenomenon used by troops of ships during World War 1. I found it visually intriguing, and wanted to reinterpret it through a fashion lens. " Hui Yang ('18) received honorable mention for her work Amusement Park of Desserts. " I have always loved the sweet texture and delicate appearance of desserts, and have wondered what would happen if desserts came alive? What would they do? What if everyone was a kind of dessert! While creating this illustration, I was inspired by a girl with freckles on her shoulder, which made her look like she was dotted with sprinkles. I tried to combine the visual qualities of desserts to make a playful and imaginary illustration. I also love amusement parks, so I imagined what would it be like if it an amusement parks was designed just for desserts." Yiran Guo ('17) also received merit for her work. The full list of 3x3 No. 14 winners is here.